HP 10s+ (Plus) is especially dedicated to middle school students. 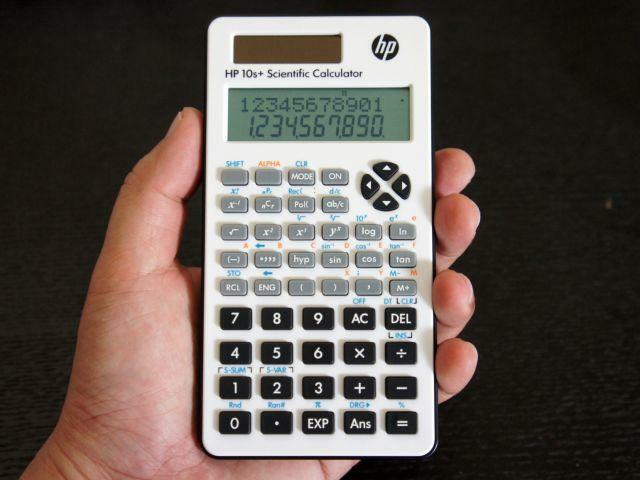 The HP 10s+ Scientific Calculator is perfect for mathematics and science courses. The HP 10s+ allows you to work smarter with both solar and battery power as backup. Use both natural and indoor lighting to extend the life of your battery. HP 10s+ comes with 2 lines display and more than 240 built-in functions. The Cool HP10S+ design with a practical slide on hard protective cover makes the 10S an ideal companion for all students. HP 10s+ Plus easily power through advanced calculations such as statistics and performing complex conversions. Ideal for Algebra and Trigonometry, the HP 10s+ features a robust advanced mathematics package. HP 10s+ Part Number: NW276AA. What's in the box: HP 10s+ Calculator, slide-on protective cover, battery, user guide (also downloadable from this link).